The Federal Republic of Nigeria has leapfrogged South Africa to become the largest economy on the African continent after the country’s re-basing exercise this week. With this development, Nigeria is set to become the 26th largest economy in the world by Gross Domestic Product (GDP), advancing from its current 30th position to rival the size of the Polish and Belgian economies. The size of Nigeria’s GDP is now estimated at US$509.9 billion (80.3 trillion Naira), the Nigerian National Bureau of Statistics (NBS) office confirmed in speech by the General Statistician, Yemi Kale, on April 6th, 2014 in Abuja. According to the General Statistician of the National Bureau of Statistics (NBS), the current (GDP) figure is 89% larger than the previous estimation for last year. The huge percentage increase was largely due to the Nigerian government's decision to update GDP calculations, a process known as "re-basing", which had not been done in more than two decades. The overall re-basing exercise has underscored the country’s significance in the continent, giving a renewed impetus to economic regeneration. Nigeria previously used ‘1990’ as its based year for real GDP at contact basis prices. However, the country hitherto has seen an emergence of new sectors and increasing sub-sectors which were uncounted for in the GDP. After 24 years the National Bureau of Statistics (NBS) decided to re-benchmark the based year to 2010 to give an accurate economic outlook of Nigeria’s GDP. In total sectors in the NBS new frame augmented to 851,628, representing approximately an increase of 917.08 percent. Most notable increase were seen in sectors such as wholesale and retail trade , repair of motor vehicles and motorcycles; professional, scientific and technical activities; and construction, whilst sectors in the information and communication drop from 2,183 to 1,719. 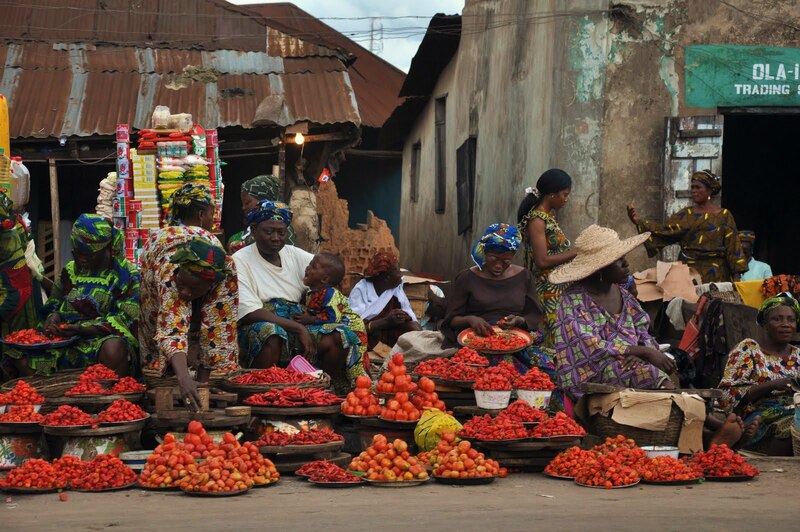 Nigeria’s per capita income (PPP) now stands at US$2,827. The changing of the GDP based year has become an increasingly important factor in the assessment of a country’s real sector. Ghana, for instance, recently changed its based year for calculating real GDP from 1993 to 2006 which led to an increase percentage difference in GDP after rebasing of 62.8. In the Nigerian case the petroleum sector plays a large role in its economy, accounting for 80% and 40% of the Federal Government earnings and GDP respectively. Nigeria’s film industry, popularly known as Nollywood, has also over the years made monumental strides which were unaccounted for. According to several economists, the new based year gives a true reflection of Nigeria’s financial and economic outlook that in turn will boost investment in the country. Regardless of Nigeria’s burgeoning economy, the country is still saddled with a litany of socioeconomic problems which have left lingering resentment with many ordinary Nigerians, especially the youth. The country’s unemployment rate stands at more than 23% and more than half of the youth remain unemployed. As a result, many Nigerians are swimming in an excruciating abject poverty and hopes of millions of youth have been truncated, leading to protracted political wrangling and lingering bitterness in a country already mired with religious gridlock. Most Nigerians intuitively mull over the rebasing as a mere economic rehash or formality. People in this West African nation with a population of over 174 million still struggle with power outages, poor health care are just a few to mention do not feel the increment of the nation’s per capita income is trickling down to their pockets. However, Nigerians, a priori, will at least find solace in the per capita increase and their country’s significance to tide over the economic and social hardships. With Nigeria’s robust economy, the obstacles to creating a sustainable inclusive social growth are not insuperable. The country could continue to take several steps to stabilize and preserve macro stability as well as eradicating abject poverty. The petroleum production has been the linchpin of the country’s economic success. The government should calibrate its political and economic efforts to ensure a fair distribution of proceeds from the petroleum sector. Norway, which has used the income from its sole booming petroleum sector to increase the general well being of its people, could be a paradigm. All-encompassing radical steps should be taken to address the issue of venal government which has made the Nigerian youth increasing disgruntled at the government. Addressing corruption in Nigeria is a sine qua non of the country’s transition to newly industrialized nation. Nigerian case is a call for action by all African governments to adopt far-reaching structural reforms aim at promoting sustainable inclusive growth and fostering social harmony for its growing population. Who Can Stop the Violence in South Sudan? All Heads Are Not Equal.